Browse: Home / Welcome 2016! 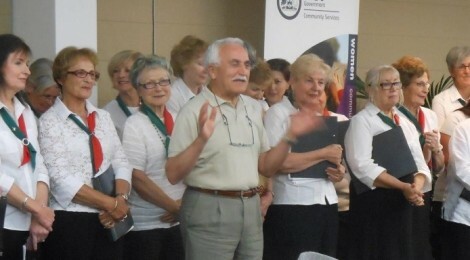 With the holiday season behind us, we look with some excitement to the start of a new year and the exciting services and activities being planned for Dante Alighieri Society members in the months ahead. During the past year, we successfully relocated our formal language courses to the Yarralumla English-Italian bilingual school to take advantage of the obvious synergies between the school and the Society. Despite some minor initial teething issues, we are pleased with the success of the move and the enhanced collaboration and mutual support that is developing between the two institutions. We look forward to strengthening that success in the year ahead. Other developments of interest that will add to future benefits to members include the establishment of a new Italian Cultural Society at the Australian National University. We look forward to collaborating with the Society to further strengthen our long-established and ongoing relationship with the School of Literature, Languages and Linguistics. We are also in the final stages of concluding a cultural partnership agreement with the Friends of the National Library Inc. which will provide mutual benefits to our respective memberships. As part of our cultural program in 2015 we held a very successful experimental live videoconference with noted Italian author and journalist Pino Aprile which allowed participants to pose questions directly to the speaker. The success of the experiment has encouraged us to seek further opportunities for our members to interact with noted personalities and institutions via a video link. We will have at least two such events in the coming year. The first (on 24 February coinciding with the GP Championship race at Philip Island, Melbourne) will provide an insight into the emergency assistance arrangements to riders participating in the international Moto GP race tour. We will explore the behind the scene happenings with the Italian doctors of the Clinica Mobile which follow the race circuit around the world and provide the first emergency medical assistance to riders involved in accidents. The second (in June) will feature the Istituto Ortopedico Rizzoli and while it is also connected to a medical theme, much of the focus will be in the form of a virtual tour of its premises in the historic Monastery of San Michele in Bosco in Bologna including its artistic treasures. These videoconferences will be in addition to our regular cultural events. Our offering of formal language courses will also be revamped and expanded to better meet demands of members and keep it competitive in the Canberra market. We will be offering short and intensive courses in addition to our standard fare. We are also considering various ways of enriching the experience of those who participate in our conversation groups. Members are encouraged to provide suggestions on other ways we can enrich the benefits of their membership of the Society. We count on your support to promote all aspects of Italian culture in Canberra. On behalf of the Society I wish all members and their families a happy and prosperous 2016.